Where is the book in which the teacher can read about what teaching is? The children themselves are this book. We should not learn to teach out of any book other than the one lying open before us and consisting of the children themselves. We are not a Waldorf Steiner School. Our families value the methods and principles used in that style of education and have implemented those that serve our group best while we meet several times a week. At Walnut Grove Coop we strive to adopt the style and approach proposed by Ruldolf Steiner. We focus on mindful education to help each child awaken or retain their awareness of the world around them. The curriculum and materials used in each class are selected to appeal to your child’s senses. 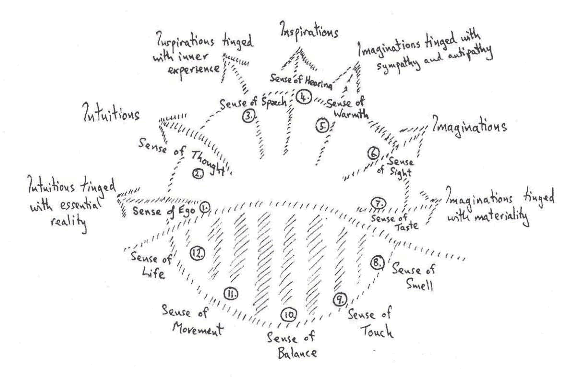 In the Waldorf approach, these reach beyond the typical senses one might bring to mind and also include intuition, inspiration, imagination, and movement. Children are encouraged to wonder, ponder, predict, and create the lessons that open the world around them. All senses are nourished with the colors, natural materials, music, stories, and experiences that we offer. Walnut Grove Coop is a secular group but still encourages the growth of the spirit of our members. We create mindful classes that encourage introspection and reflection. We close our Enrichment Day and Preschool Time classes with a gratitude practice which prompts the children to recall and share what they are grateful for and what they have learned. Waldorf-style lessons teach that we are the microcosm in the macrocosm. Our world is a-bustle with systems that intertwine. The general knowledge topics that we explore help children to acquire conceptual understanding through investigation and experience of one subject over a long period. Students will observe their own processes and those found in nature to develop their own concept of relationship and contribution to their group, the community, and the world. Visit our Resource Page for more links to Waldorf information. Copyright © 2019 Walnut Grove Coop. Powered by WordPress. Theme: Spacious by ThemeGrill.